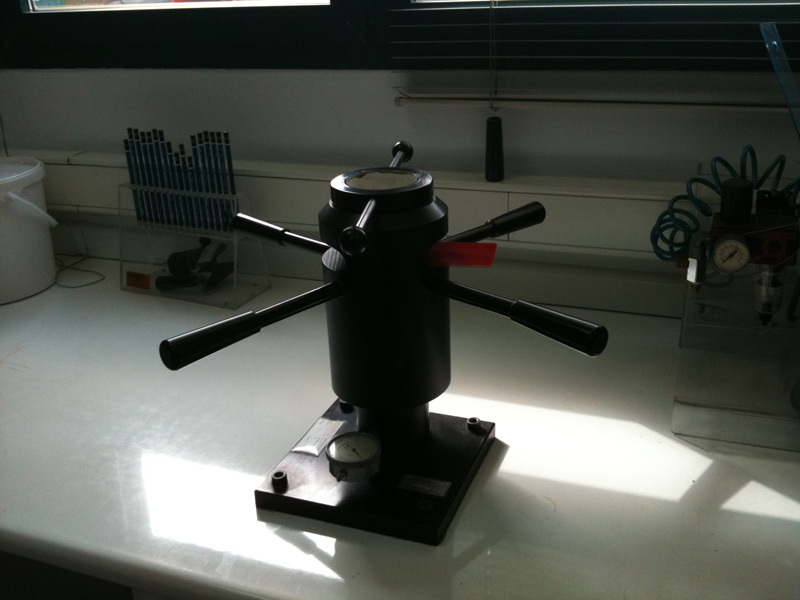 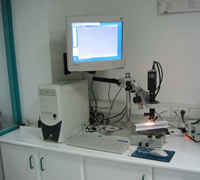 These are some tests that our products are subjected previously to be sold. 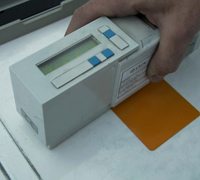 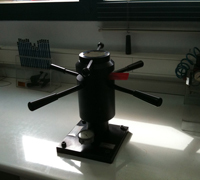 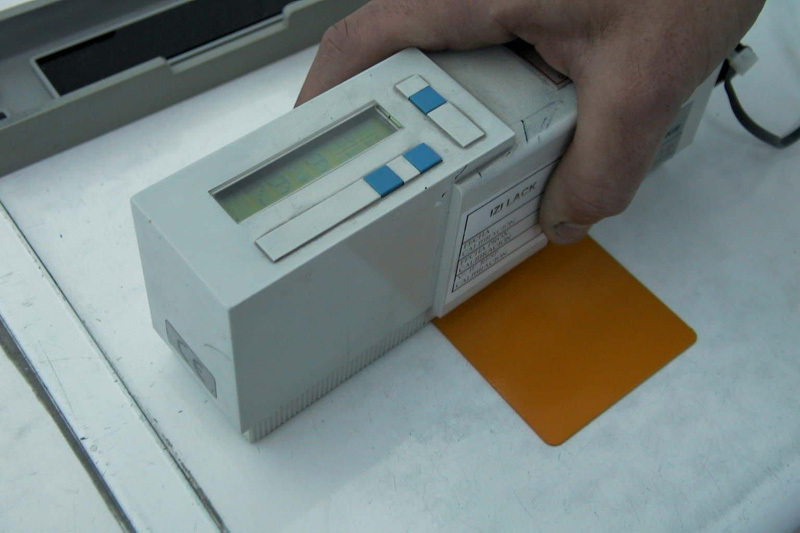 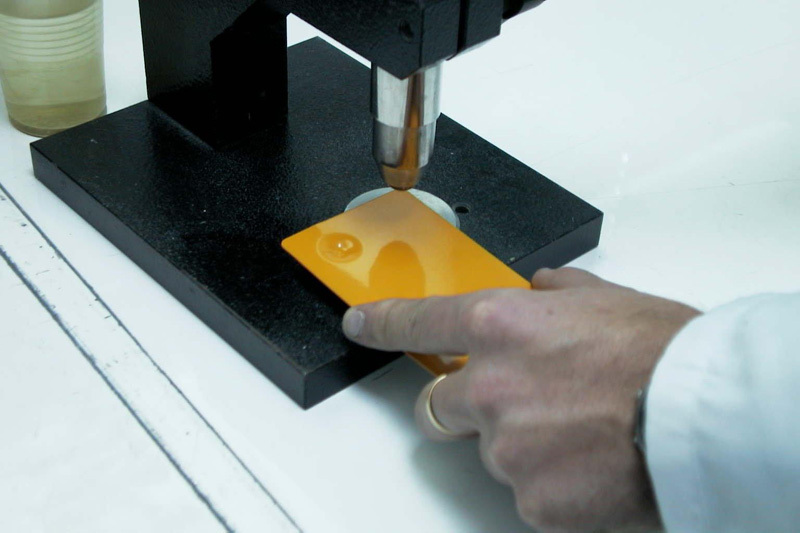 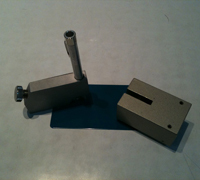 Thickness of a coating applied to a metallic test piece is checked by means of electrial-current induction (Foucault). 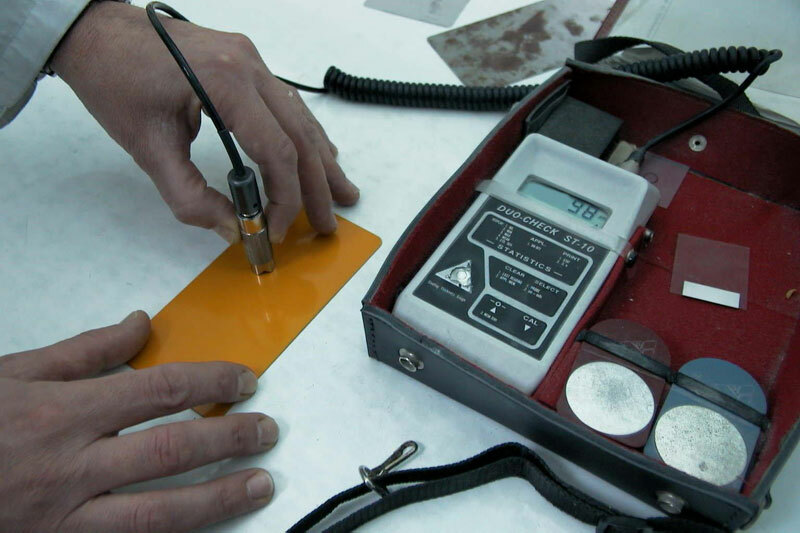 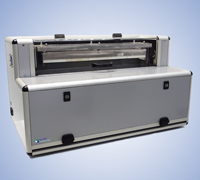 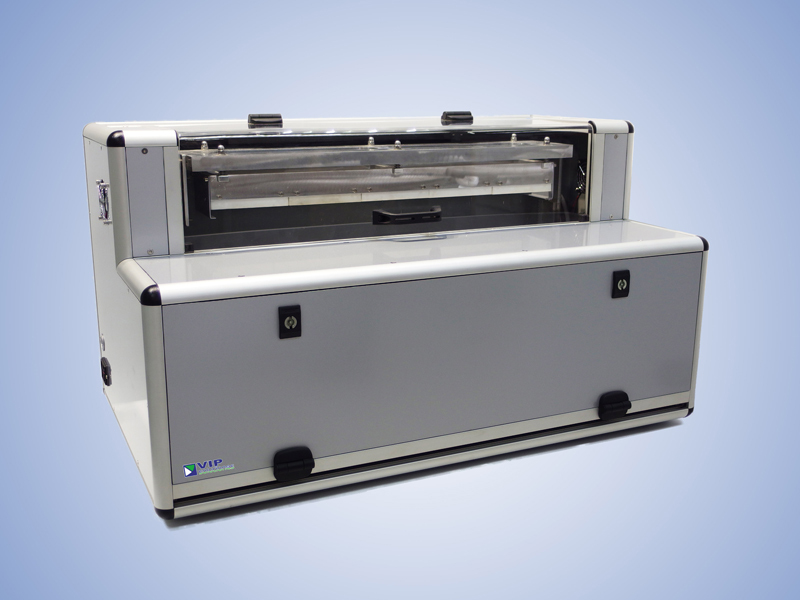 The glossmeter enables the light reflected on an enarmel surface to be calculated. 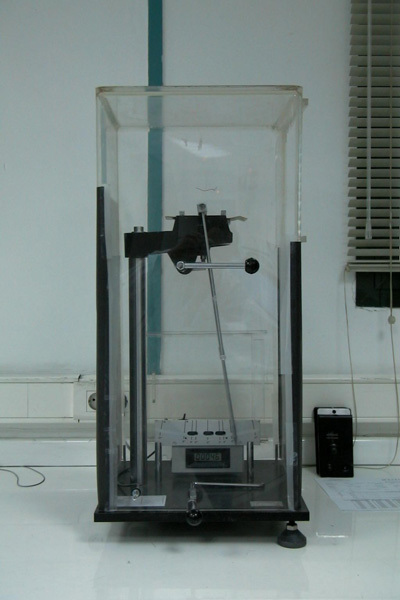 Resistance to rapid deformation, gauged on the basis of the impact of a ball of 12.5 mm and weighting 1 Kg, dropped from varios heights. 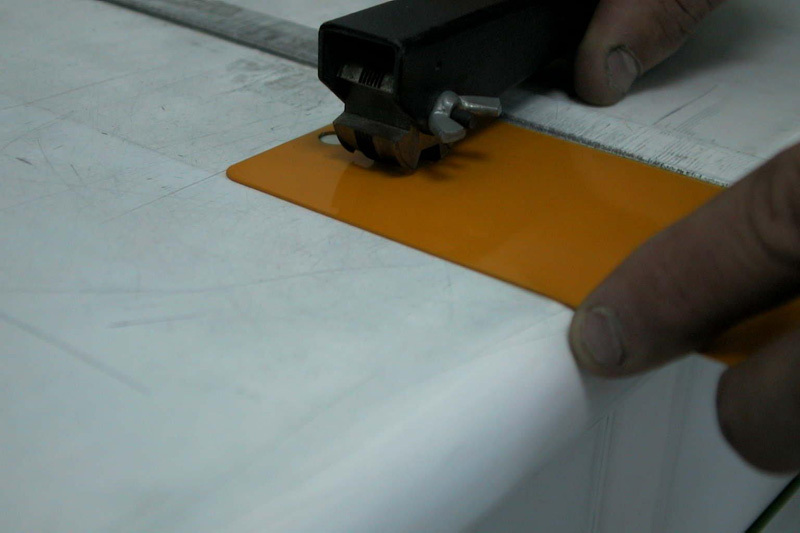 Adhesion of a coating to metal. 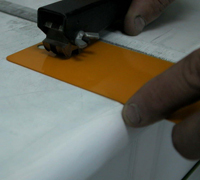 by means of making several cuts in a grid formation using blades with varying degrees of separation. 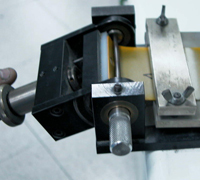 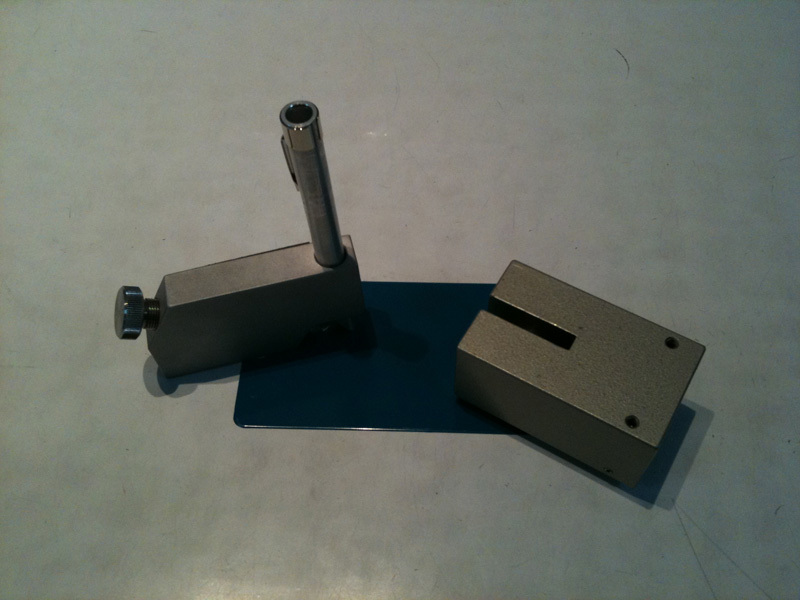 Penetration test performed on a film, using a metallic disk with a sharp tempered-steel edge positioned below a metallic block. 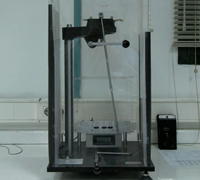 Calculation of the pendular hardness of a coating applied to a metallic test piece, using Persoz pendulums. 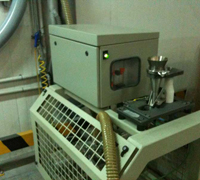 Evaluation of the resistance of a coating to the removal of a metallic substrate when it is subjected to a gradual deformation through cupping in normalised conditions. 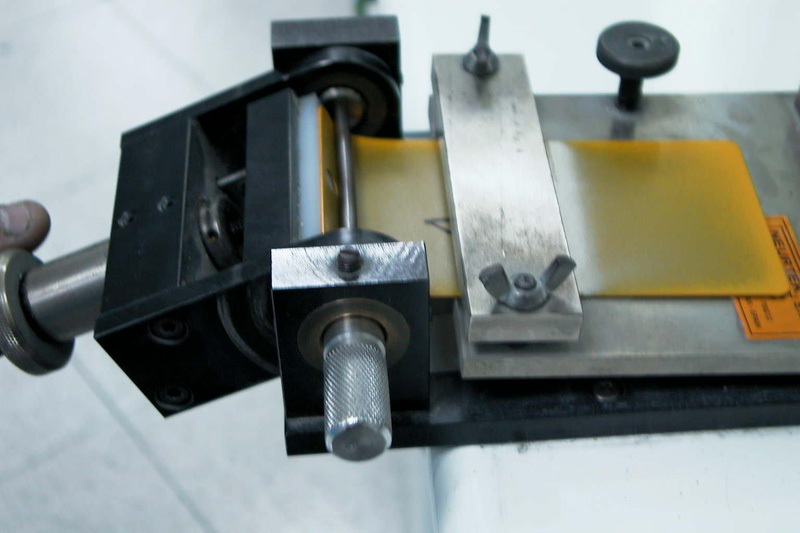 Resistance of a coating to checking and/or separation, with the metallic substrate being bent around a cylindrical mandrel. 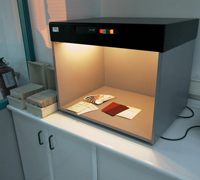 Colour comparison using a spectrophotometer that measures a light spectrum ranging from 360 to 700 nm. 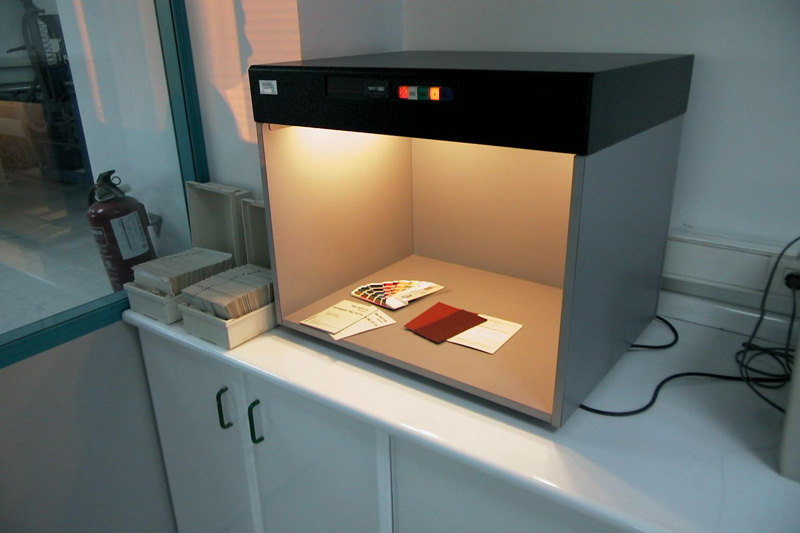 Colour comparison using a camera equipped with three illuminants, namely D65, A and TL-84. 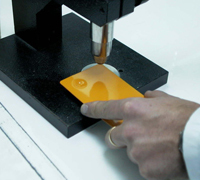 Analysis of the finish of a coating's application, using a video-microscope. 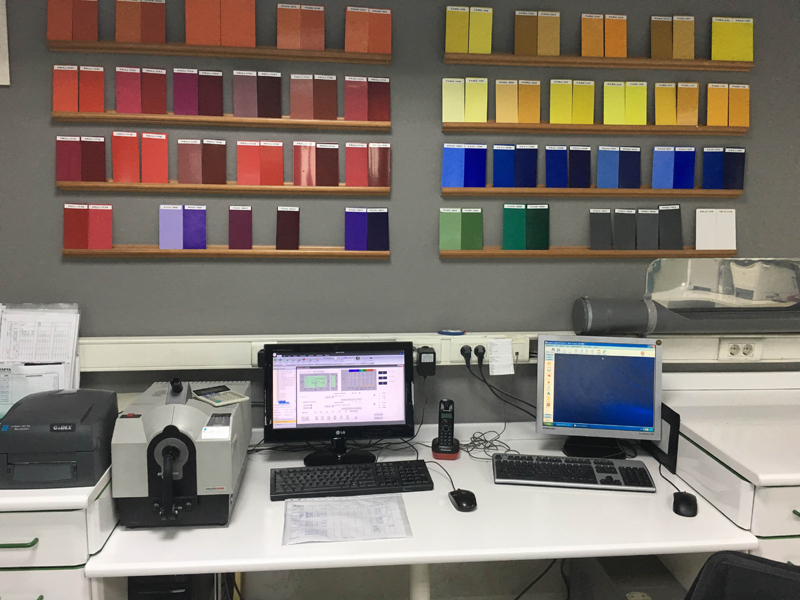 Evaluation of the resistance of paint films to artifical ageing, which involves subjecting them to an agressive environment (saline mist). 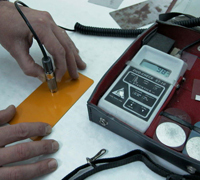 Evaluation of the resistance of paint films to exposure to artificial radiation. 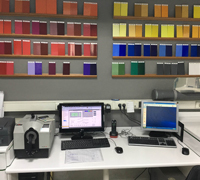 Evaluation of the resistance of paint films to exposure to ultraviolet radiation. 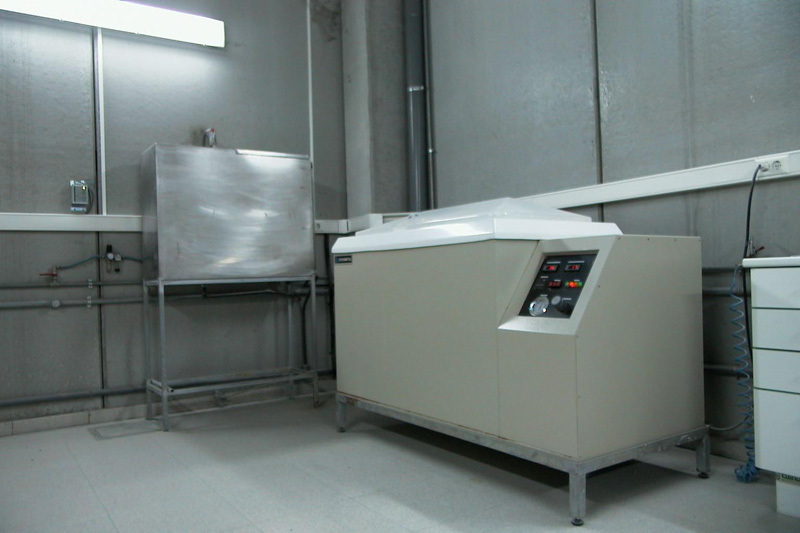 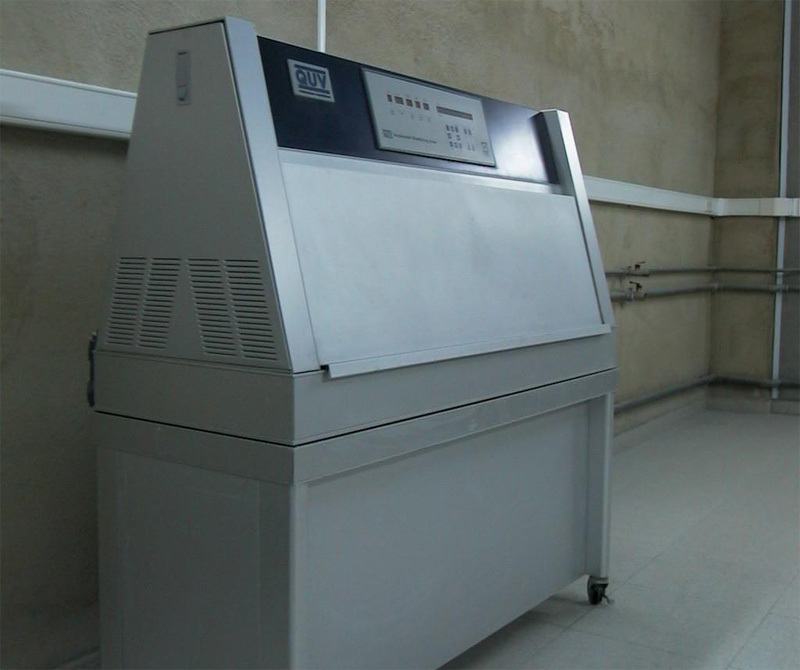 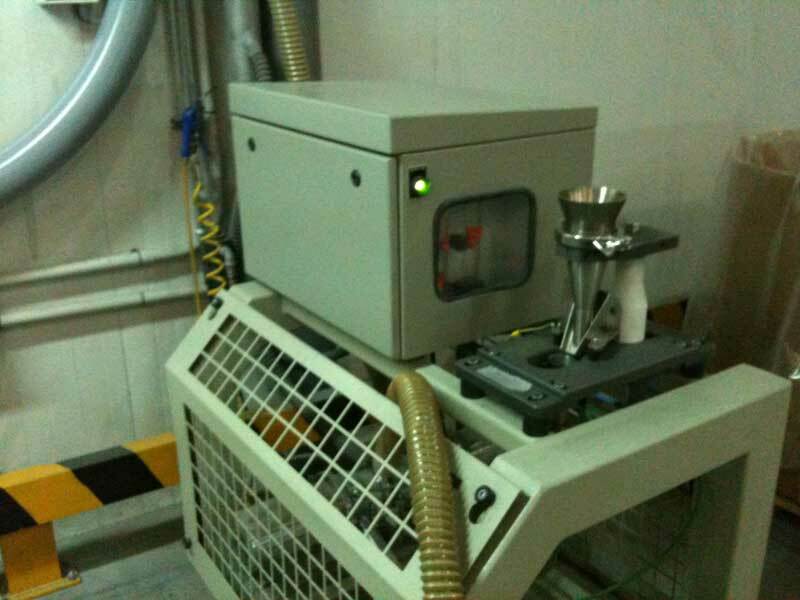 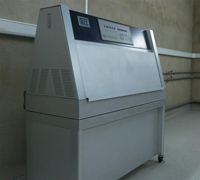 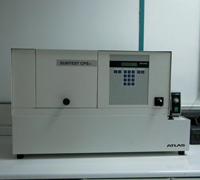 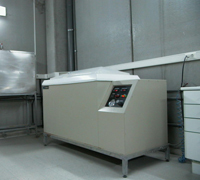 Analysis of the size of the particles of the coating by a laser analyzer.